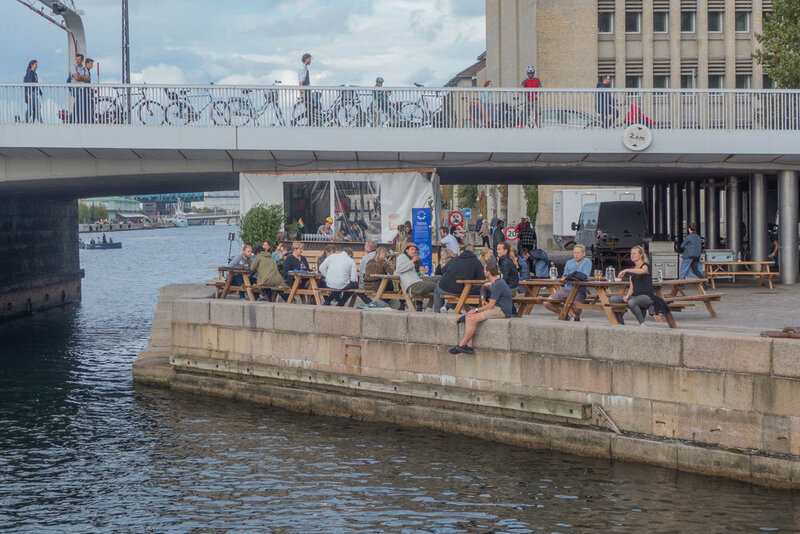 Part of the team from the noma restaurant in Copenhagen have opened a pop-up restaurant under the arches of Knippelsbro - so under the road deck of the central bridge over the harbour. If you are walking, go down the steps on the Opera House side on the south or Christianshavn end of the bridge or get there by the harbour ferry to the Christianshavn ferry pier immediately south of the bridge. There are temporary kitchens along the quay and with barbecue cooking the smells, as you walk past, are amazing. … but then what would you expect? … this is chefs from noma. There is also a bar where you can buy a drink and just sit out watching the boats on the water and there is also the well-established wine merchants in their permanent space under the road deck.